I’ve been quietly getting on with my embroidery & knitting but neglecting to share it on my blog. I’m actually blushing at how long it’s been since I last posted. Hopefully that’ll change with the return of the 100 day project. Last year I found out about it at the last minute, I wasn’t prepared but decided to go for it anyway. 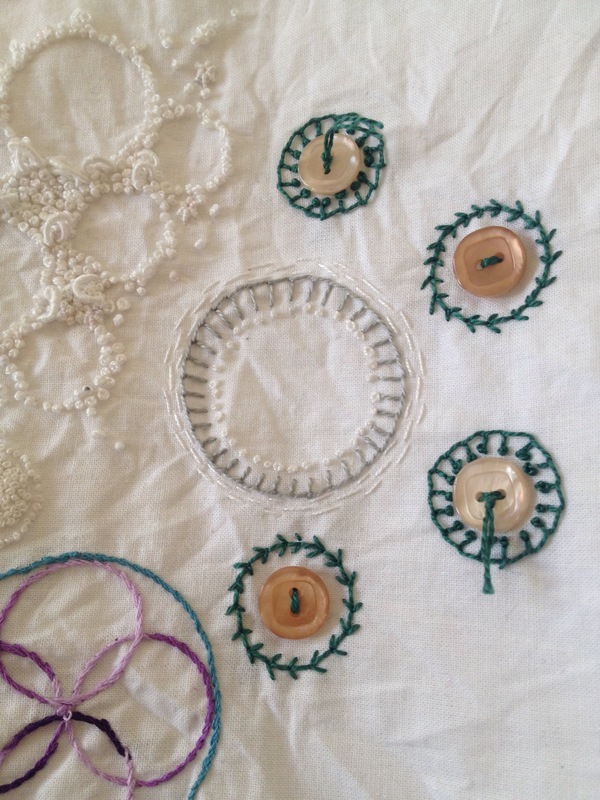 I decided to embroider circles for 100 days and while it was fun I didn’t complete it. As it was a last minute decision I hadn’t fully thought out the logistics such as how to fit it in with works and holidays. I did well but this year I’m gong to try to plan it better and complete it. I’ve not decided what I’ll do but it’ll involve embroidery. 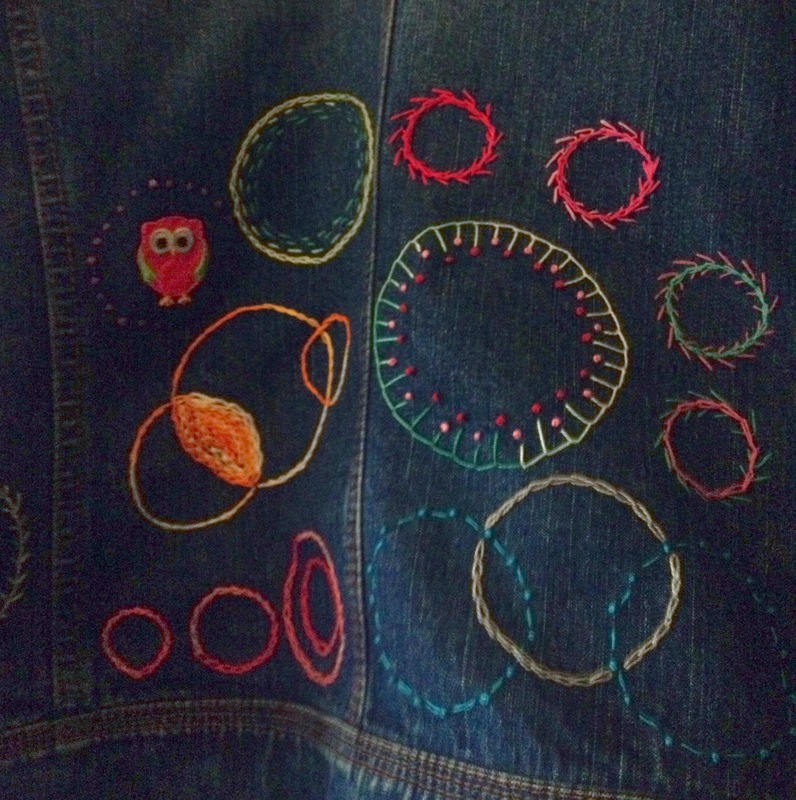 Might just finish what I started on the back of my denim jacket or fill a sketchbook with embroidery. I do recommend it as a way of focusing on something you love doing and it doesn’t have to take up a lot of your time. Take a photo a day, finish all your WIPs, knit a square every day to make a blanket or write a 100 word short story every day. Whatever it is you’ll definitely feel better for making time each day to do something you enjoy & with all the practice you’ll become better at doing it. 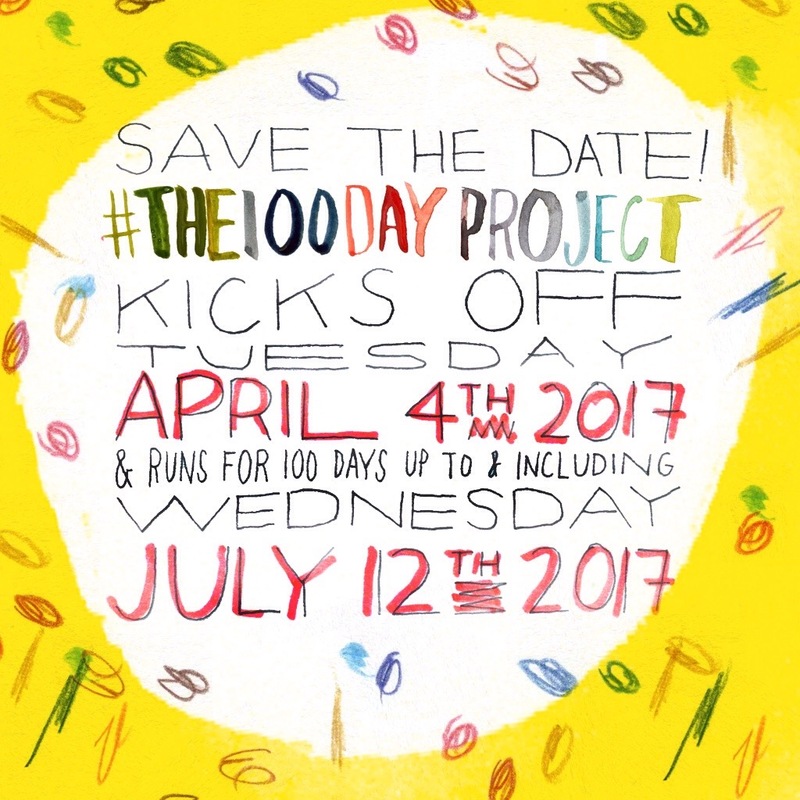 PS If you take part don’t forget to upload to Instagram or Twitter with #the100dayproject. 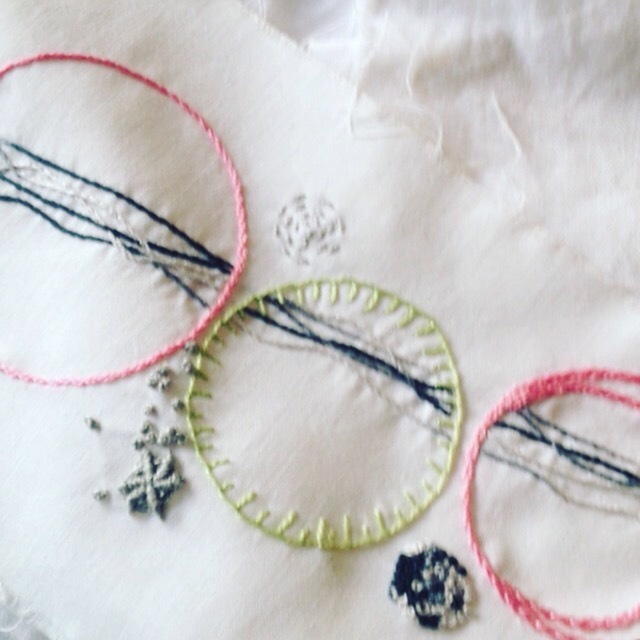 This entry was posted in arts & crafts, embroidery, The 100 day project and tagged the100dayproject. Bookmark the permalink.